Host a fabulous dinner party under the stars around this classic outdoor dining set. It has a versatile style because of the mix of materials and structure. 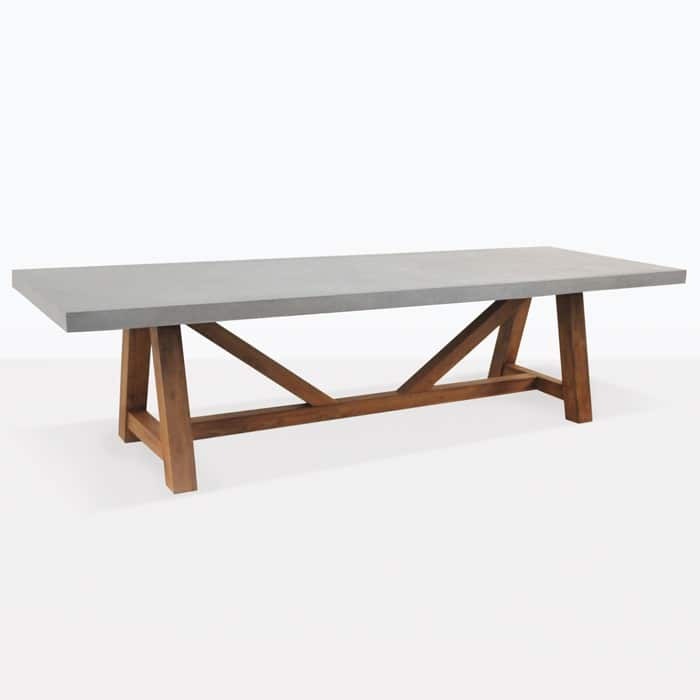 You can decorate this 98″ table to be rustic and casual; romantic or modern and hip. Add your favorite food, white lights and fresh flowers for the ultimate outdoor dining experience. 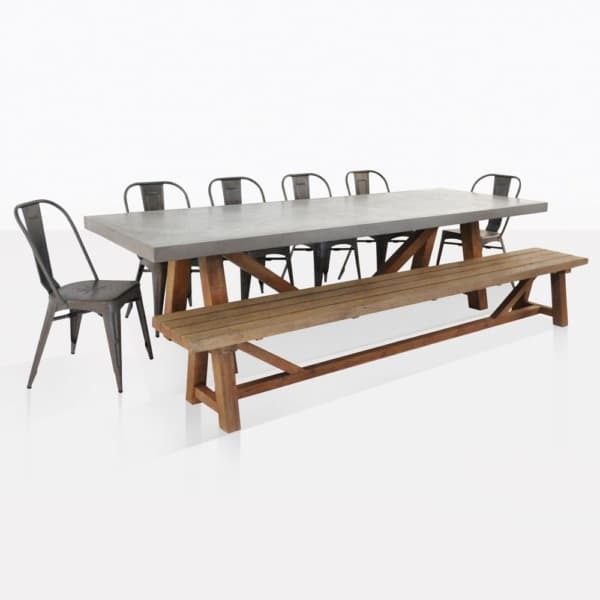 This outdoor dining set features our famous 98″ Raw Concrete Trestle Table, Trestle Bench and six Alix chairs. These are all made for outdoor use. 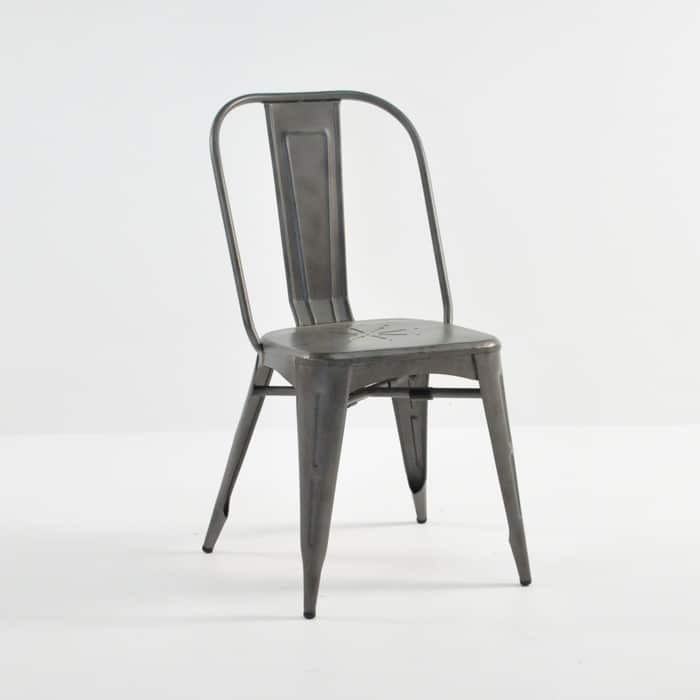 The Alix chairs are made with non-rusting powder coated aluminum. The legs of the table and the bench are made with reclaimed teak. We love using reclaimed teak because of the texture, color and durability. 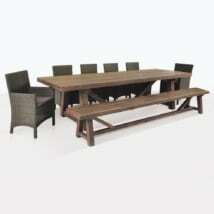 This outdoor dining set generously seats up to ten people. You can mix and match chairs with benches. 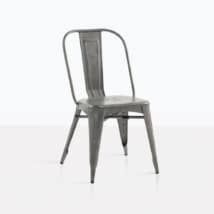 We have a large range of outdoor wicker dining chairs that also look amazing around this table. It all depends on your personal style and taste! 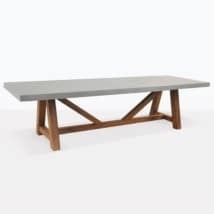 This outdoor dining set features our famous Raw Concrete Trestle Table, Trestle Bench and six Alix chairs. These are all made for outdoor use. The Alix chairs are made with non-rusting powder coated aluminum. 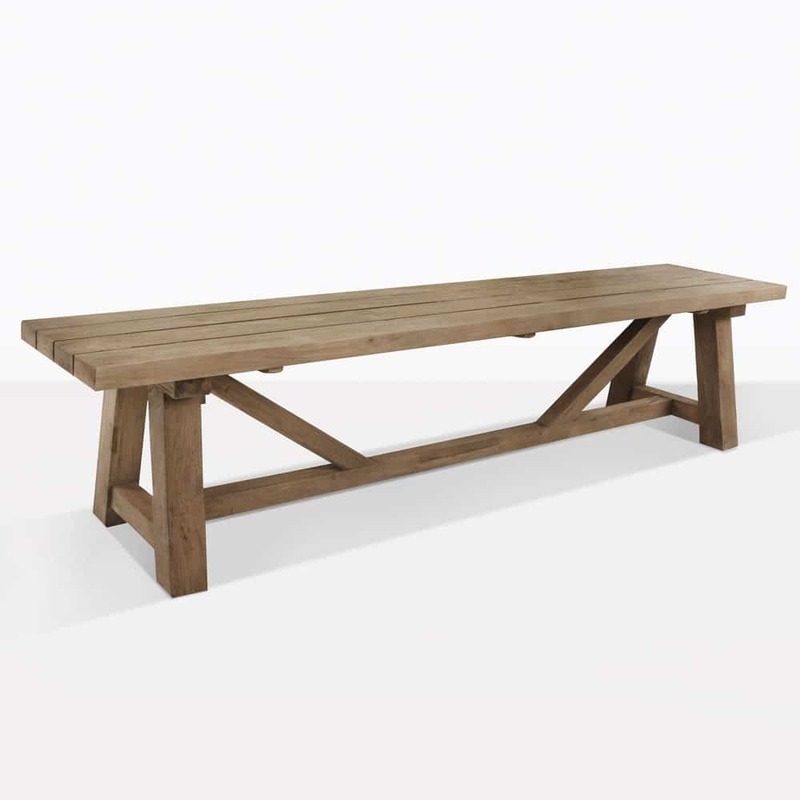 The legs of the table and the bench are made with reclaimed teak. We love using reclaimed teak because of the texture and color and durability. 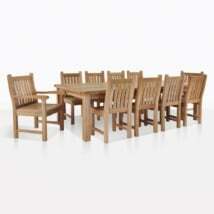 This outdoor dining set generously seats up to ten people. You can mix and match chairs with benches. 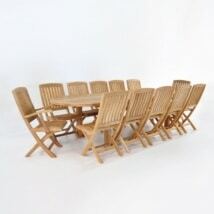 We have a large range of outdoor wicker dining chairs that also look amazing around this table. It all depends on your personal style and taste!